The 1887 OS map (opposite) shows a limekiln on land leading off Water Lane. 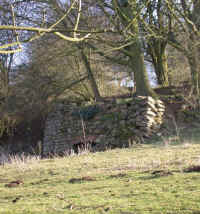 The remains of the limekiln can still be seen on this land. 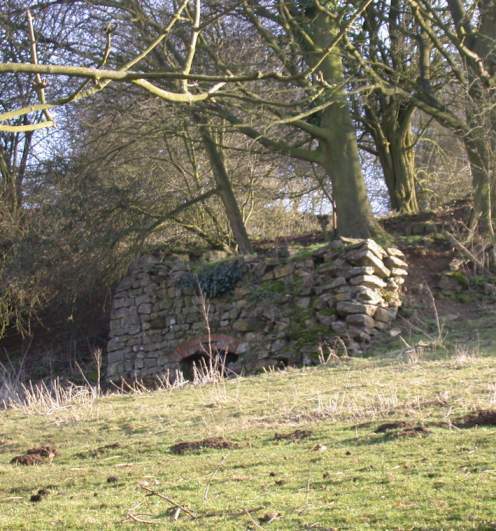 In the 18th and 19th centuries, limekilns were built across the UK to produce lime - a white powdery substance used for building (mortar and plaster) and also farming - as a fertiliser. Lime was produced by burning limestone, which was tipped in from the top of the kiln on to a coal fire. Then a layer of coal was laid over the top followed by more limestone, more coal and so on. The furnace had a wide arch at the front, to allow in a supply of air at the base to keep the fire going and provide oxygen for the conversion process. As the fire burned, the lime was raked out of the furnace and taken away. 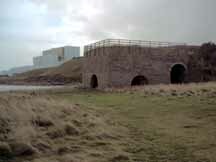 The picture below is of a surviving limekiln in Dunbar, Scotland. 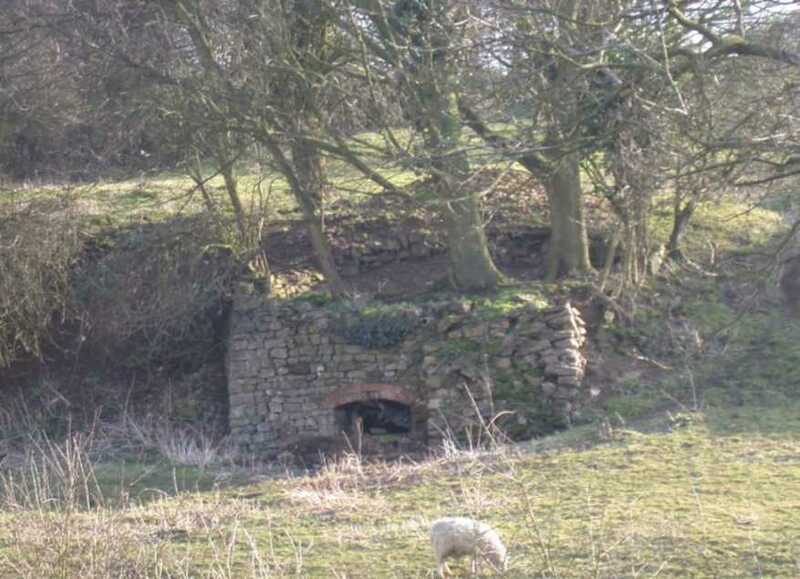 From this, you can get an idea of what the Cottingham limekiln looked like before it fell into disrepair.